In spite of the immense interest in the dodo, which has been extinct for more than 300 years, we are still unsure about its exact appearance. There have been several attempts to reconstuct the dodo on the basis of C17 portraits, resulting in the flabby, monster like creations that we all recognise. The physical remains of the dodo that are left to us are very limited, but have been exhaustively studied by various "dodologists" through the years, and it seems unlikely that modern science can throw any more light on the question of the dodo's appearance. The key to learning about what the dodo really looked like lies in art history. Until now, no one has taken the trouble to analyse and compare the C17 illustrations. 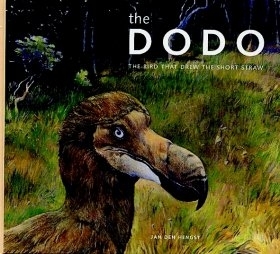 This book aims to do exactly that, by presenting eye-witness accounts of the time and along with abundant paintings, drawings and watercolours the author has made it possible to reconstruct an accurate portrait of the dodo.